-- This position will be responsible for canning our meads to required specifications 2-3 days per week. Training will be provided. -- Adheres to the cleaning procedures strictly. Is responsible for and checks the cleanliness and organization of the entire property. -- Works with the production team to make sure equipment is in working order and clean. 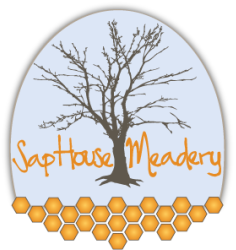 -- Must accumulate, keep and communicate information about mead, Sap House Meadery and its products. -- Position may additionally staff events in the market. The duties listed above do not constitute all potential work that may be performed. As a small and growing company in a changing market, responsibilities and tasks may change, arise or fall away. The position must be capable and willing to thrive in a dynamic environment. Mead/Wine/Craft Beer/Spirits and/or Food Service related experience helpful. Knowledge of mead and mead production. A valid drivers’ license and an acceptable driving record or the ability to transport yourself to and from various work locations. This is a seasonal position that could expand into a full/year round position. Please include 3 references that will acknowledge your work performance within the last 4 years, professional references only.